Till a few years ago Tomàs Transports, SA, dedicated ourselves exclusively to transport full loads, but to meet the needs of some of our clients, we were including gradually Service groupage or small batches until the weekly departures we have at present. This customized logistics has also allowed us to introduce new procedures similar to those used by large companies to minimize costs, but with the personal service and quality offered by a family business. 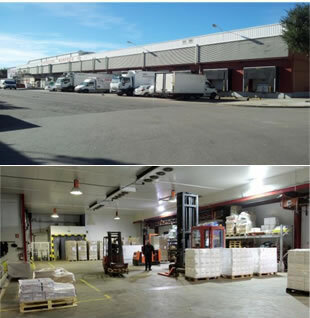 Room for frozen packages: 5000 europallets. Open 24 hours from Monday to Sunday.